The CECAFA executive committee meeting also nominated Somali’s Abdigani Arab Said as the vice chairman and Leodegar Tenga – the immediate Cecafa chairman as an Honorary Chairman. The new executive committee was inaugurated in Khartoum, Monday in a ceremony witnessed by Sudan Minister for Sports and Youth, Several top Government officials and the Chairman of Saudi Arabia FA Ahmed Alharbi. In a communiqué issued by Secretary General Nicholas Musonye from Khartoum, CECAFA will develop a master plan to ensure that youth and women football are fully integrated in all CECAFA activities starting this year. CECAFA will also organize four technical courses this year. The Council Confirmed that Uganda will stage the Under 17 and women Championship this year, while Burundi will stage the Under 20. The Kagame Club cup will be held in Zanzibar and the Senior Challenge Cup in Sudan. The New committee headed by Dr. Mutasim Gafar of Sudan will also sign an MOU with Saudi Arabian FA for an exchange programme especially on matters involving youth football. 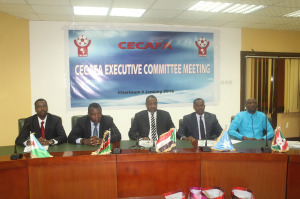 On the overhaul of Statutes, the Council noted that the current statutes and regulations had served CECAFA well. But with then changing environment, the old statutes have to be overhauled to bring in dynamism and deal with indiscipline appropriately. The new chairman of CECAFA Dr. Mutasim pledged to revamp CECAFA and ensure that it competes with the rest of the zones in Africa on equal footing. In the meantime, Musonye who spent the new year in the Sudan visited North Gordofan State on Saturday and Sunday as a guest of the State Governor and launched the Sudan Youth Competition in El Obeid City, 600 miles North of Khartoum. The Governor of North Gordofan pledged to host a CECAFA competition at the newly renovated Stadium. Governor Ahmed Haruna said CECAFA was the backbone of football in the region, having hosted CECAFA-Kagame Cup when he was the Governor of the neighbouring South Gordofan State in the volatile Kagugli City in 2013. 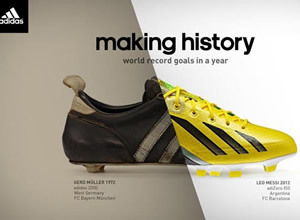 Musonye commented the Government and the people of the Sudan for their commitment and support to CECAFA over the years.